Time to upgrade the look of your bathroom? This elegant, durable sink from Sinkology is just what you need. You'll have no problem maintaining this stylish unit, made with ultra-durable copper. Complete your next home improvement project by installing this top-of-the-line sink in your bathroom. Complete the look of your next bathroom remodel with this sink by Kraus, the perfect combination of style and lasting durability. Constructed out of sturdy glass, it maintains a stylish look through all kinds of everyday wear and tear. When your bathroom needs a new look, start fresh with this top-of-the-line sink. This elegant sink from Kraus combines top-notch style and efficiency to elevate the look of any bathroom. Its tough glass design can withstand years of everyday use, maintaining a stylish appearance. It also can be paired with a wide variety of bathroom styles, perfect for your next home improvement project. 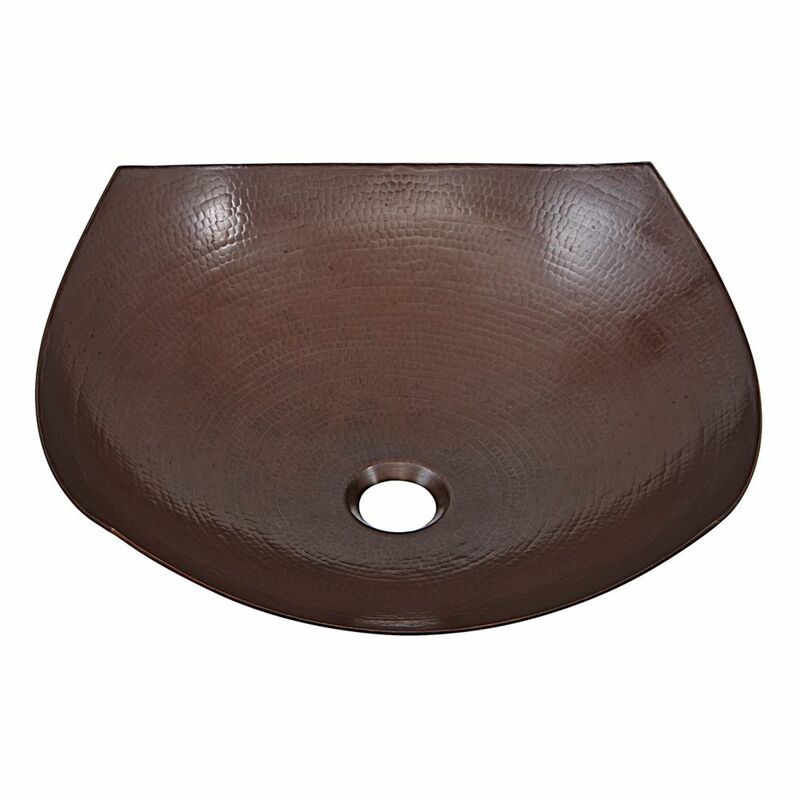 Lovelace 16.50-inch x 5.50-inch x 16.50-inch Circular Copper Bathroom Sink with Drain in Bronze Time to upgrade the look of your bathroom? This elegant, durable sink from Sinkology is just what you need. You'll have no problem maintaining this stylish unit, made with ultra-durable copper. Complete your next home improvement project by installing this top-of-the-line sink in your bathroom.